RMHS BSU field trip to Moorpark College on Feb. 7th! Thank you Dr. Kim Tresvant & Retired OPD Officer Tim Loomis for the opportunity! Chaperones Larry Franklin & Keia Knoles!Spartans Elevate-Together We Rise! WE>me! Ms. Sidhu’s college prep Chemistry students are trying to get a perfect end point in acid base titration. Proud of RM Cheer – representing Spartan PRIDE, poise & confidence- welcoming 8th grade students! Spartans Elevate- Together We Rise! WE>me! Rio Mesa honors baking and pastry students participated in the CTE showcase that was held at the Oxnard Marriott. They decorated over 100 cookies with color flow icing to pass out to the incoming freshmen. Congrats to some of our 11th grade Chem students who were awarded places in the 5th Annual RMHS Science Fair Monday! Moving on to county! 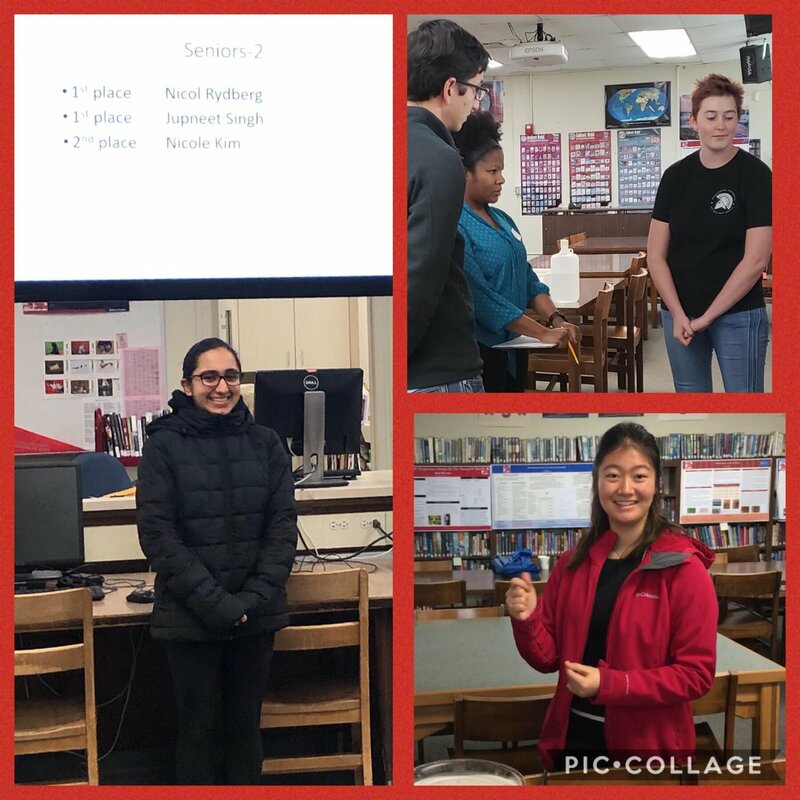 Congrats to some of our 12th grade Chem students who were awarded places in the 5th Annual RMHS Science Fair Monday! Moving on to county! 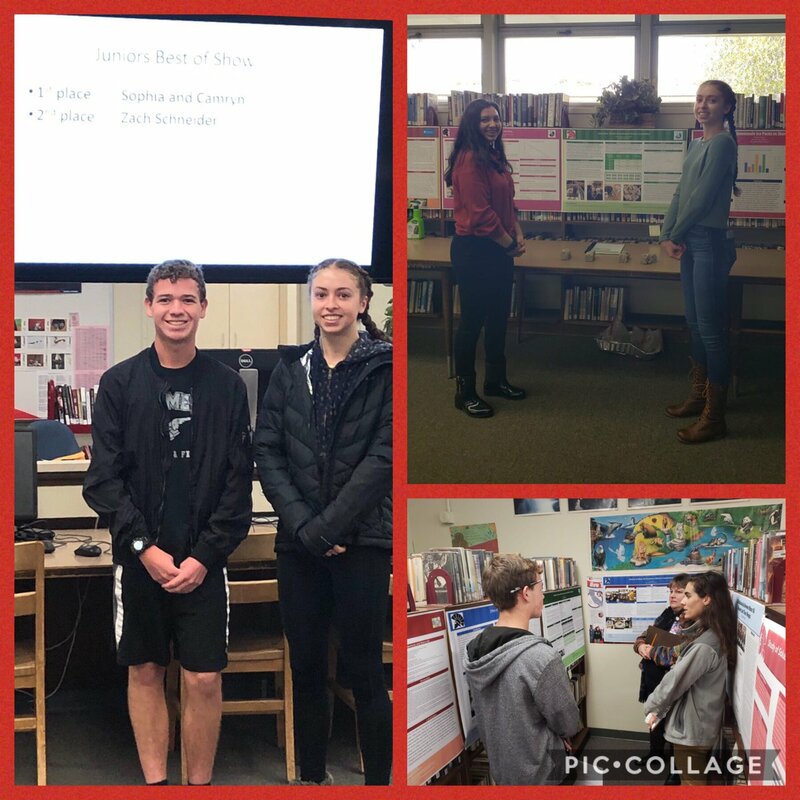 Proud of our 11th & 12th grade Chem students who participated in the 5th Annual RMHS Science Fair Friday! Thanks Dr. Sidhu & Mr. Jackson! Proud of RM M.E. 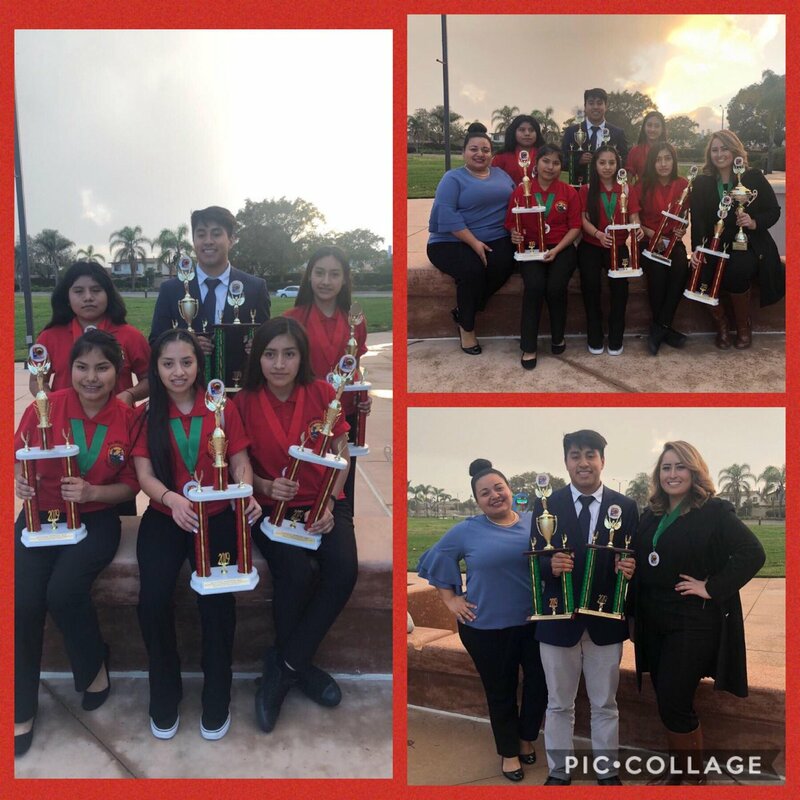 Speech & Debate Team– competed & took 2nd in Spanish Debate: Adriana Andrade, Patricia Altamirano, Leticia Ramirez, Daniela Ramirez, Rosalba Ramirez. Speech Dillon Rojas. Coach Claudia Gonzalez/Asst. Viridiana Duran. Spartans Elevate- Together We Rise! WE>me! So proud of RM BSU leaders & Young Black Scholars who attended The Black College Expo at the Los Angeles Convention Center today! Big thanks Dr. Kimberly Tresvant for helping our wonderful students get this college awareness experience! Spartans Elevate- Together We Rise! WE>me! Setting high expectations on the ELPAC exam with our ELs and reviewing test taking strat. Kuddos to Ingrid B. & Michelle M. plus Mr. Contreras for his support. Way to go RMHS. Congratulations to this year’s Girl’s State Juniors!!! Each student was nominated, completed the application and interviewed. The chosen RMHS delegate is Jocelyn Martinez! 1st alternate is Rubi Cortez and 2nd alternate is Barbara Perez. The finalists are Elvira Jimenez and Jelynn Tatad. Way to go , Spartans! 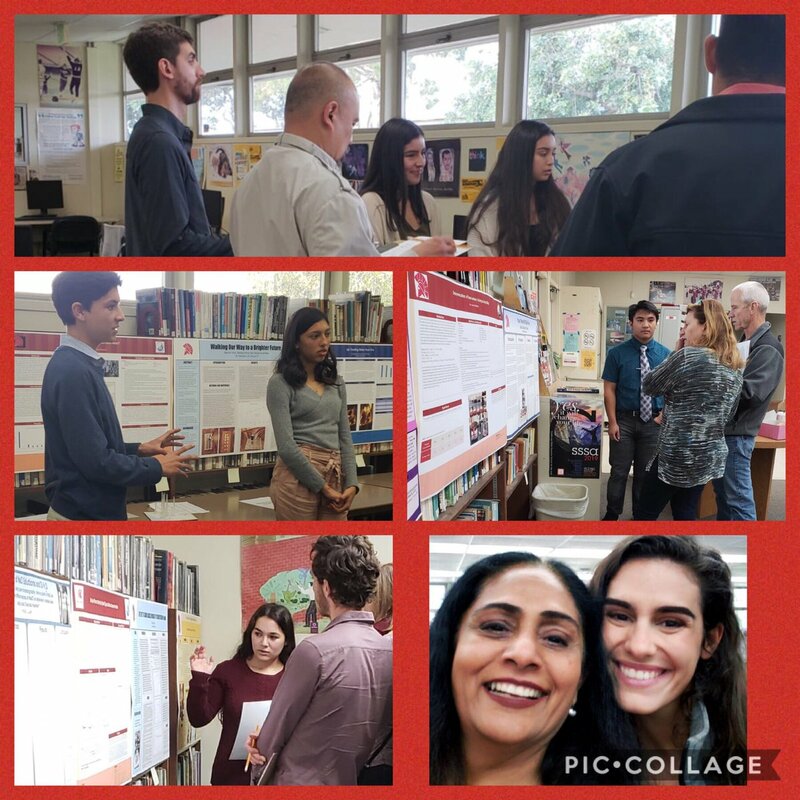 This week, RMHS Counselors went to CAPE, Monte Vista and UPCS to meet Incoming 9th graders (Class of 2023) and present all of the great programs and opportunities at RMHS. Each student received a RMHS packet to share at home. Attention Seniors! Our next Financial Aid Night is Wed, Feb 13th at 6pm in Rm 34. The deadline is March 2! Don’t miss out! 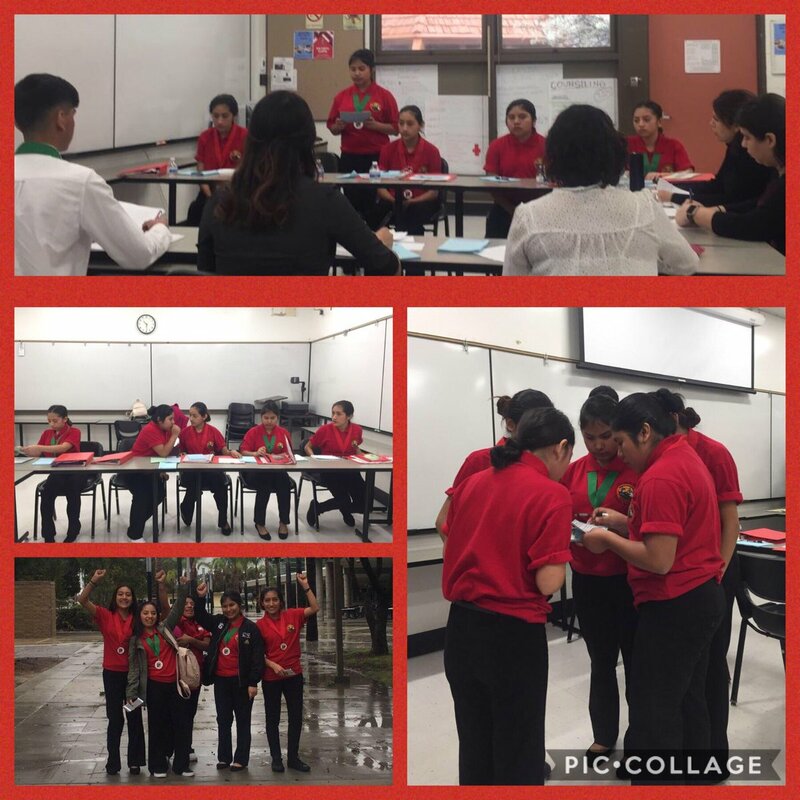 Congratulations to RMHS Migrant Education Speech and Debate students and Coach Claudia Gonzalez and assistant coaches Mayra Estrada and Viridiana Duran! 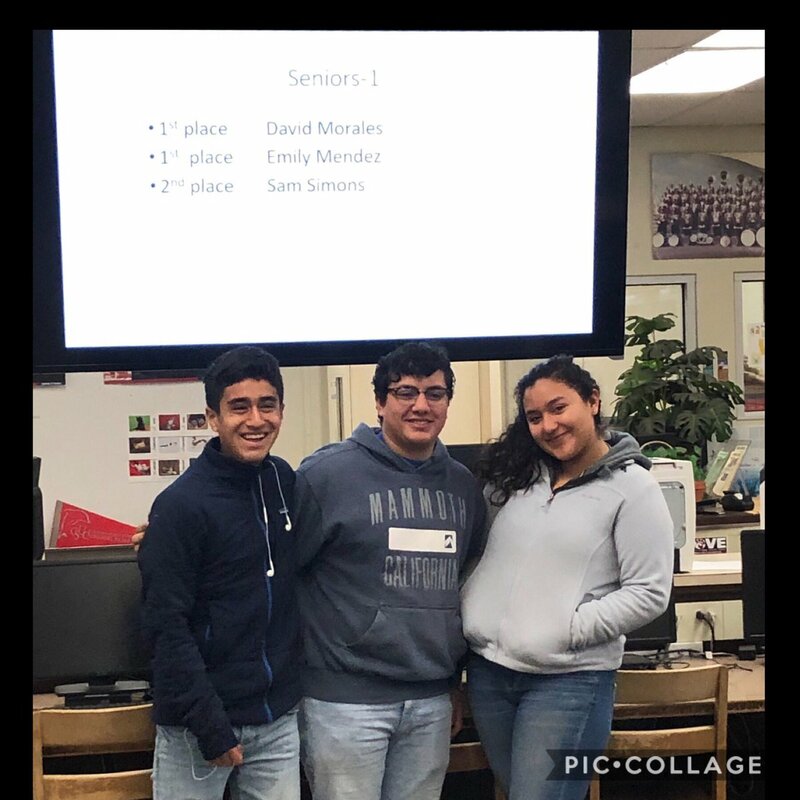 They competed last Saturday at the local level at Oxnard College. Dillon Rojas Hernandez won 1st place in 11th grade prepared speech and 3rd place in 11th extemporaneous speech! 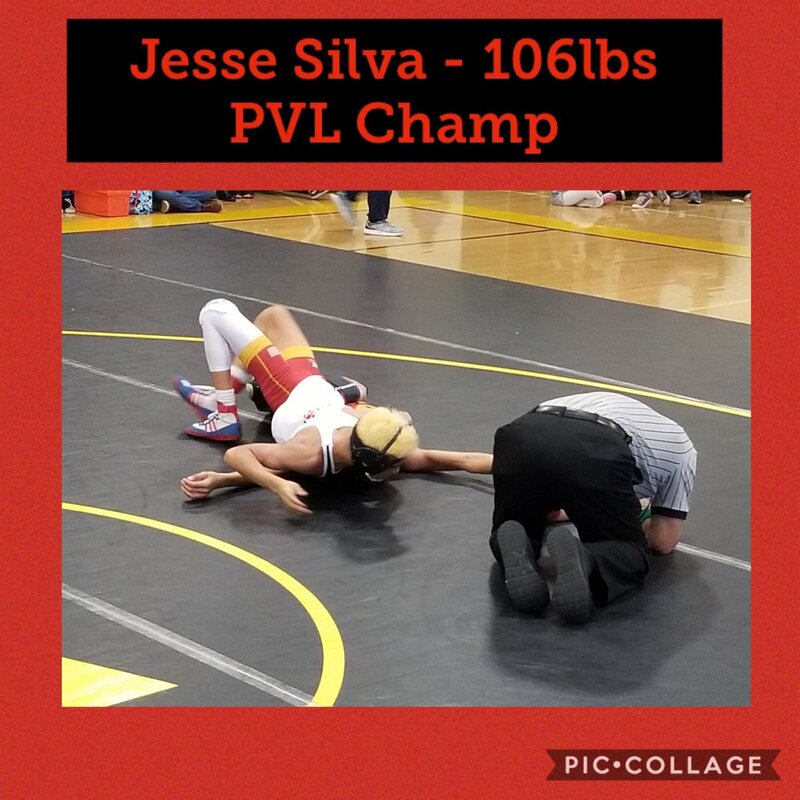 He will go to State Competition in May! The debate team- Andriana Andrade, Patricia Altamirano, Daniela Ramirez, Leticia Ramirez, and Rosalba Ramirez placed 2nd in Spanish Debate! Felicidades! Go Spartans! This week, teachers, Ingrid Brennan and Michelle Martinez, met with all of the students that need to take the ELPAC test in small groups. 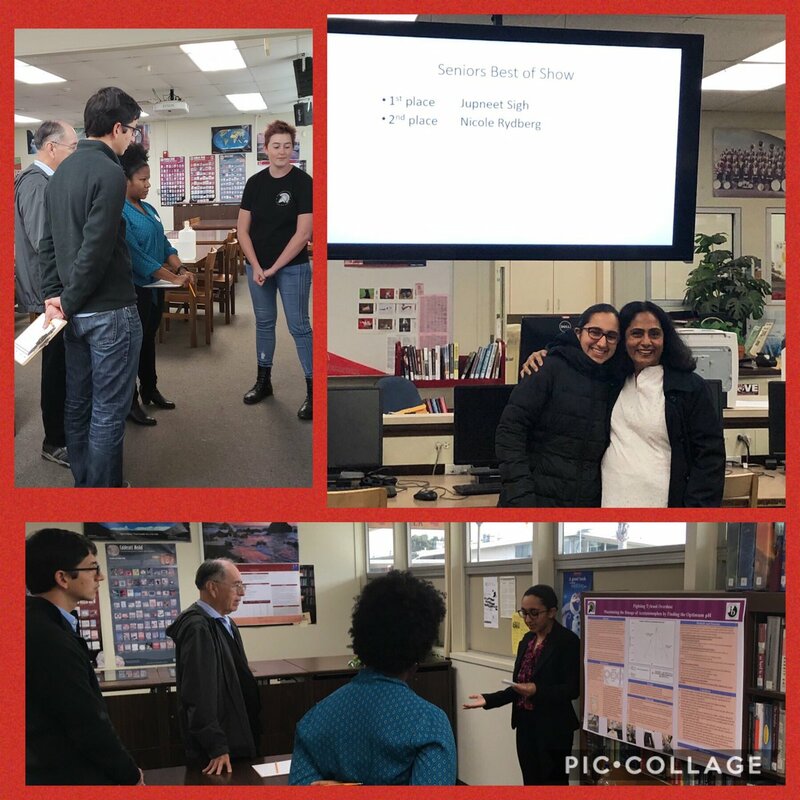 They reviewed the student’s last test scores, the test format and offered sample questions to prepare Spartans for upcoming ELPAC testing this month. Go Spartans! 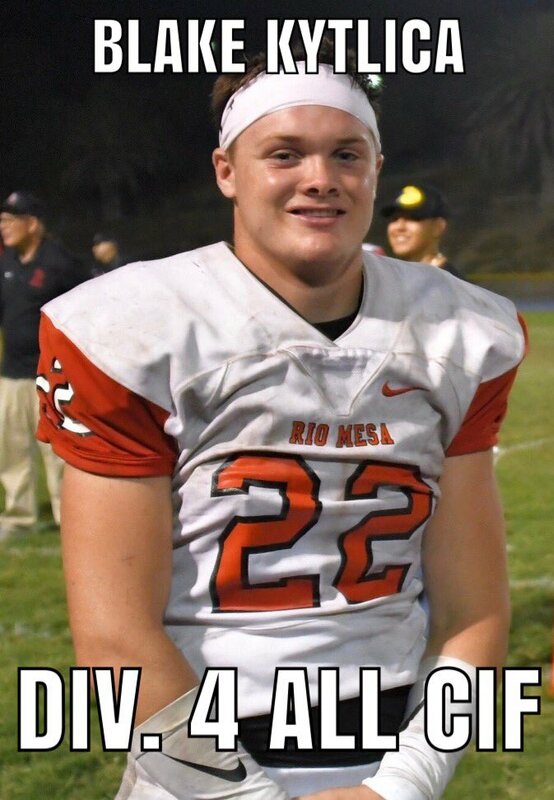 Congratulations to Blake Kytlica for being named to the All CIF team. 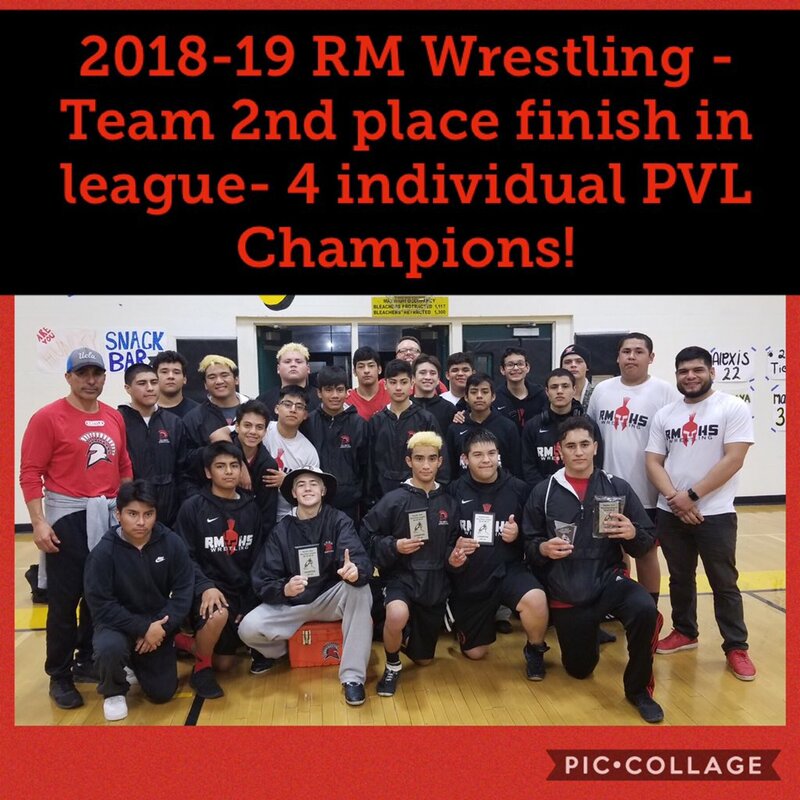 Proud of RM Wrestling– finished 4-1/2nd in league, but led PVL with 6 finalists and 4 individual champions- qualifying 13 wrestlers for CIF! Spartans Elevate- Together We Rise! WE>me! RM Wrestling Qualifies 13-CIF. 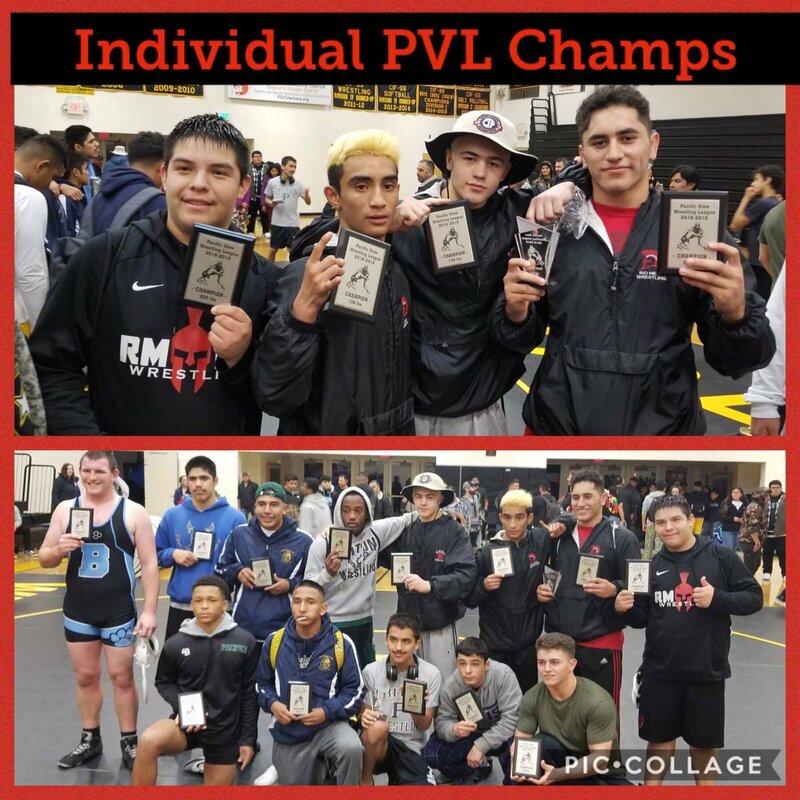 RM led PVL w/6 finalist & 4 champs. Jesse Silva,Anthony Danucci,Marco Licea&Daniel Hinojosa:1st. Marco Licea:upperweight MVP. Angel Serrano&Eliceo Aguayo 2nd. Jovani Pinzon,Joshua Garcia,Edgar Salvador,Alan Flores,Joel Manzo&Bryan Perez 3rd. Kevin Giley 4th. Super proud of these young women! 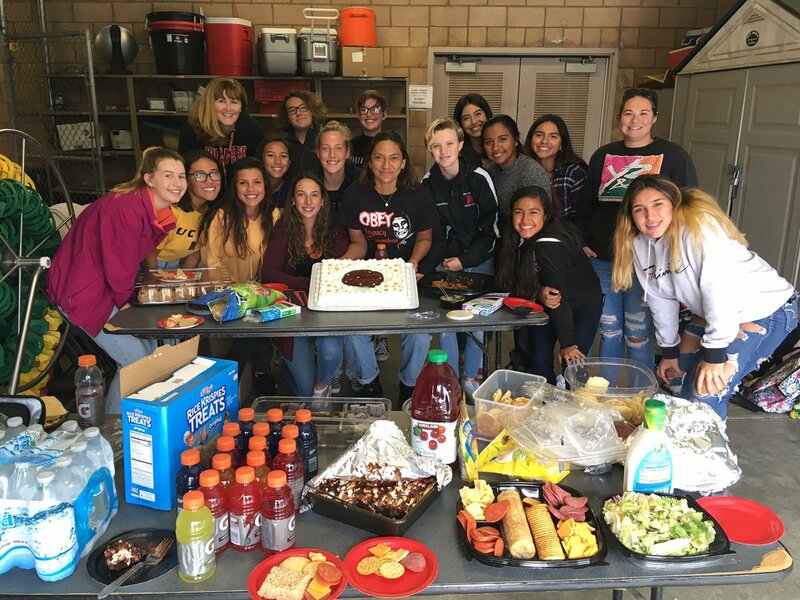 Celebration day for RM Girls Water Polo! CIF Qualifiers (Varsity), (JV Co-League Champs)- winners in life!